The County Health Care Center Shuttle makes trips from the North County to Santa Barbara, for medical appointments only, three days per week. It is advised that passengers needing a ride to Santa Barbara for a medical appointment call the SMOOTH office at 922-8476 as soon as they know that they will need a ride as seating is limited. We operate on a first come, first served basis. The County Health Care Center Shuttle picks up passengers at their homes and takes them directly to the address of their medical appointment in Santa Barbara. 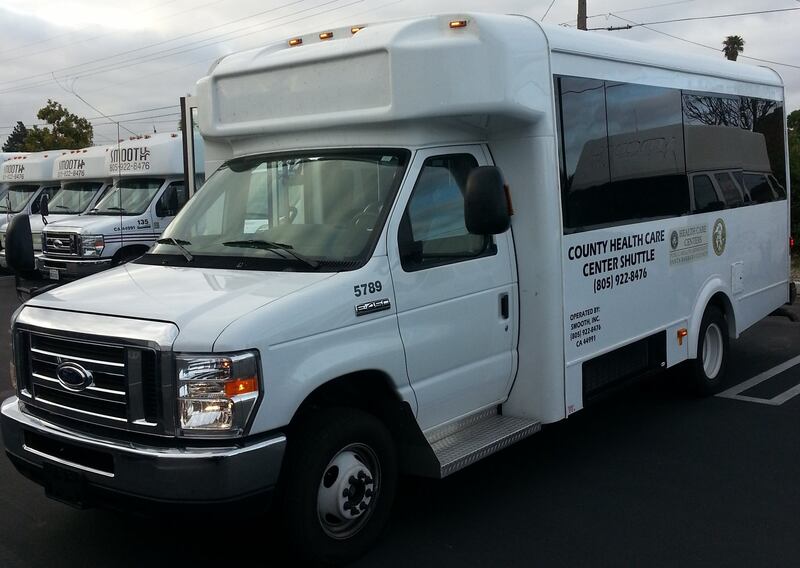 The County Health Care Center Shuttle goes to Santa Barbara every Monday, Tuesday and Thursday. *** Infants and children are charged full fare. *California state law requires children to ride in a federally approved car seat or child booster seat until they are at least 6 years old or weigh at least 60 pounds. Unfortunately, SMOOTH is unable to provide car seats, so please bring a federally approved car seat when bringing children under 6 years old or under 60 pounds as stated by law.